Because I have combination skin I find that makeup doesn't last on my face very long. It just clings to my dry patches and basically melts off my oil spots, unless I use a primer that is! I adore the Beautiful Movements Prime & Create primer but it is a little bit on the pricey side as it retails for £20 for 20g so I decided to give this one a whirl. As I'm sure you're all aware me and nivea skincare products get on like a house on fire, I don't think there is a single nivea product out there that I've tried and haven't loved, this being one of them. The main thing I want from a primer is to mattify my skin without drying it out and aid my makeup in staying put all day and this does just the trick! 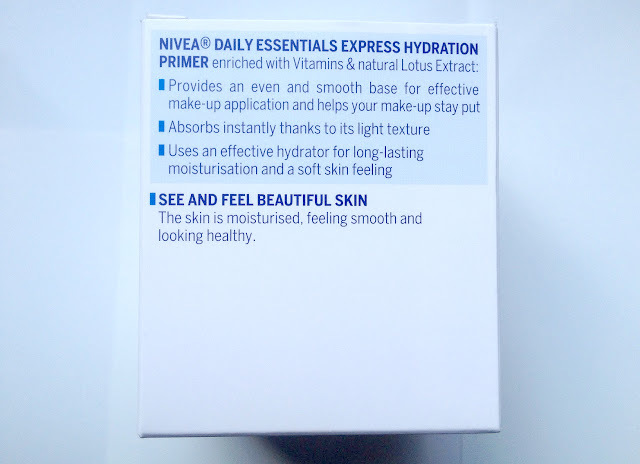 Express Hydration Primer for normal to combination skin is just what I've been looking for in a primer. At first I was a bit dubious about this product as it has a very watery consistency when applied to the skin, the primer soaks in really quickly and you'd be none the wiser about it's runny consistency! It instantly mattifies my skin, combating my everlasting battle with oily patches and helps soften my skin to make makeup application a lot nicer! I've definitely found since using this primer that my makeup lasts longer and gives my makeup a nicer look in general. 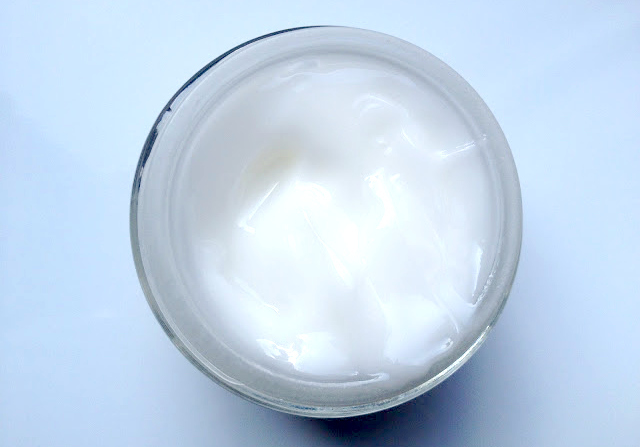 I love how the product is so light and airy so it doesn't leave my skin feeling cakey and without a doubt my skin feels so much smoother as a result of using this. Like all nivea products it has a lovely fresh scent which is very subtle and I just love it. Despite all my praise I have for this product, I am a little disappointed about the packaging as the pot inside is extremely smaller than the box it comes in! But nevermind, the pros definitely outweigh this con. 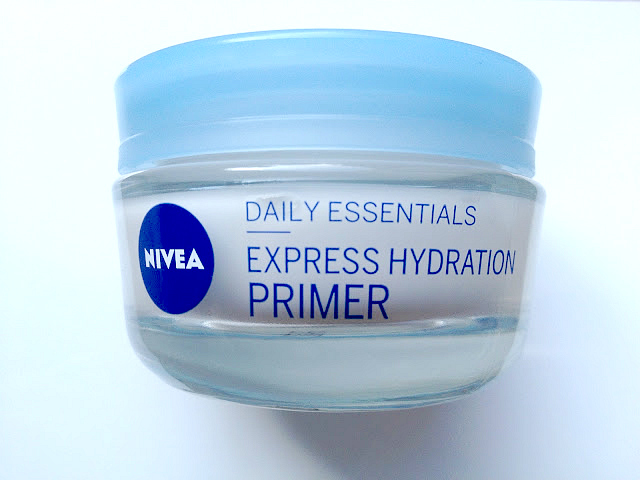 It is certainly one of the best primers I have ever used and I highly recommend it. Nivea Express Hydration for normal to combination skin is widely available in Boots/Superdrug/Tesco and retails for £4.99.